Back to basics and back to nature! 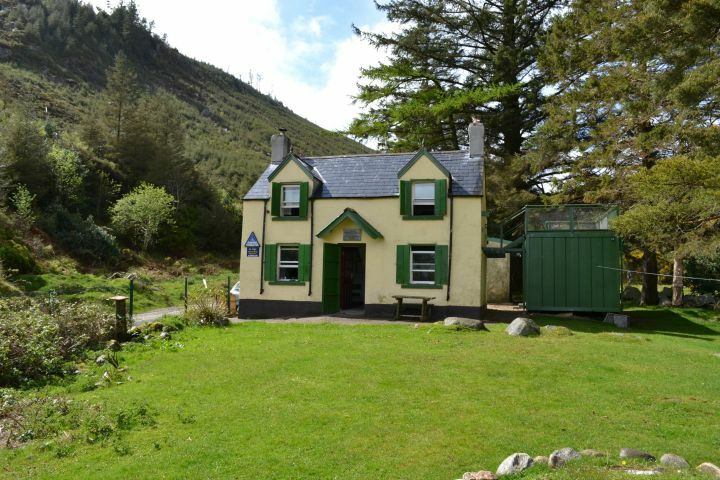 At the top of this beautiful valley is an intimate mountain hut with a country cottage feel. 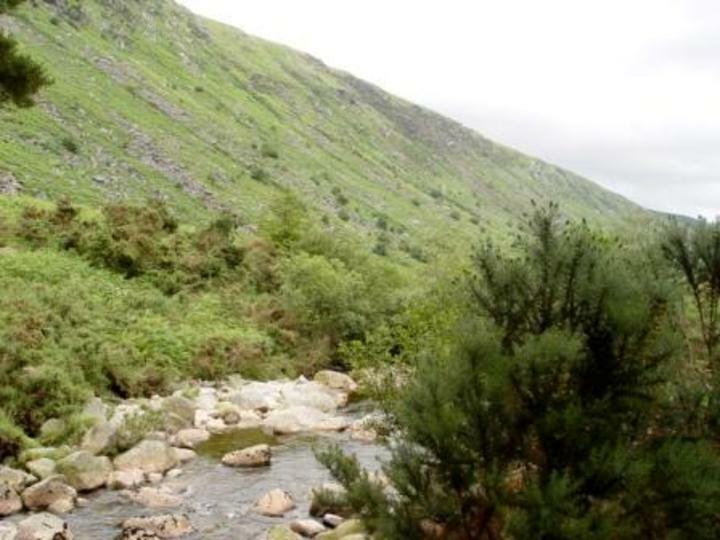 It is 6km up the valley on a track from Drumgoff Bridge. 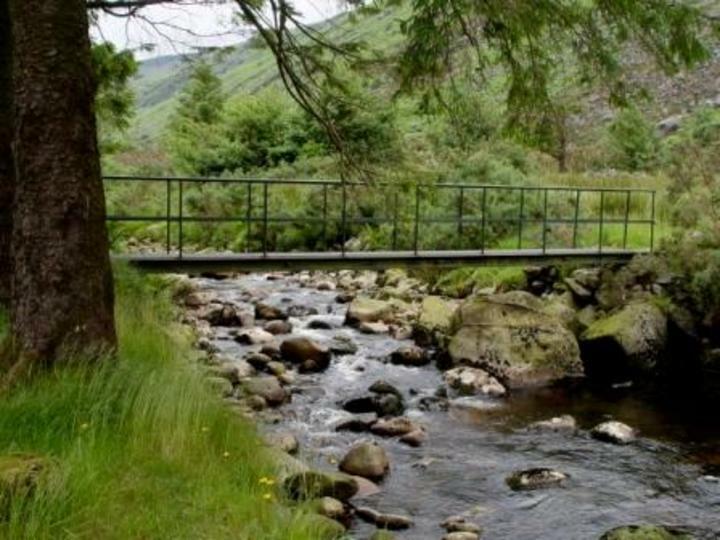 The river provides clean, fresh water for cooking, washing and good brown trout for dinner. 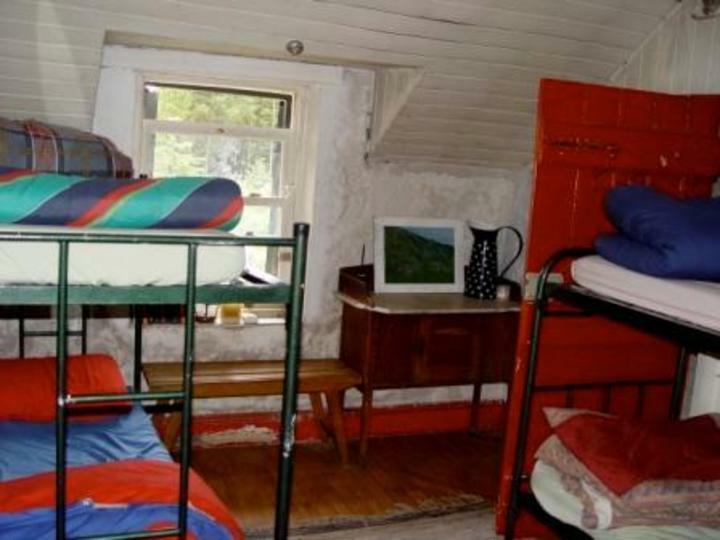 The hostel is gas-lit and, while it does not provide modern conveniences, it does provide peace, quiet and a warm friendly atmosphere. Walking possibilities abound. 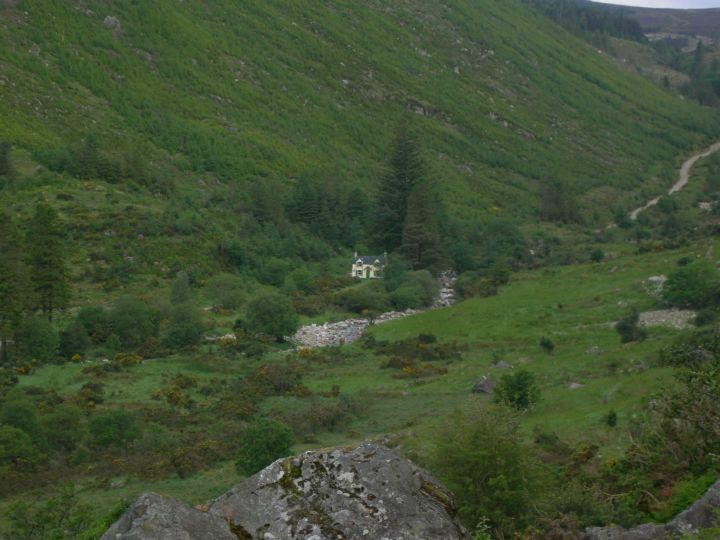 History: In 1798, the Battle of Glenmalure was fought in the valley where the Mountain Hut is now located. 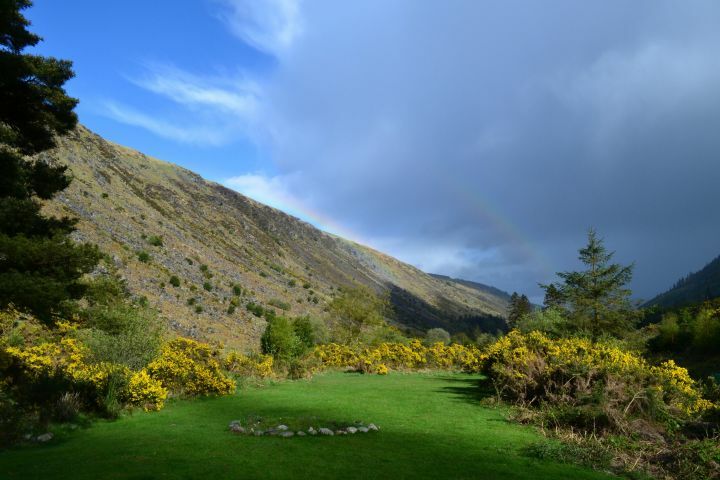 While the playwright, JM Synge owned this estate, he wrote the play "Shadow of the Glen" which was set in the house. 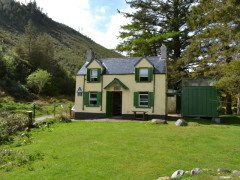 Maud Gonne McBride, who inspired many of WB Yeats poems, owned the house and had many soirees there. 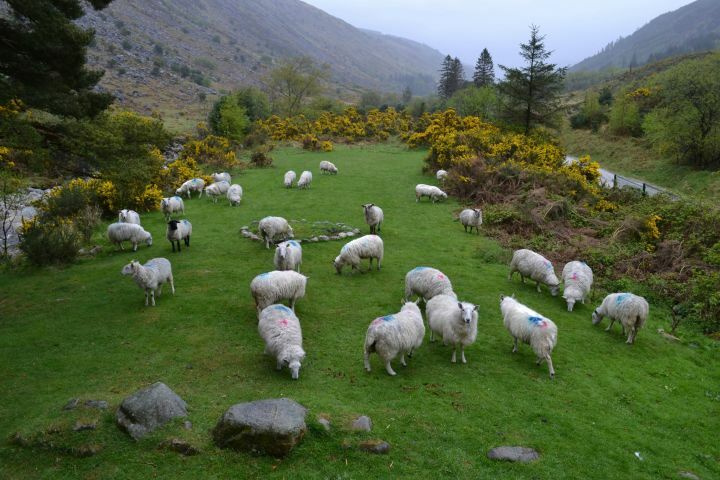 Her daughter, Iseult, lived there after her marriage. Ownership then passed to Kathleen Lynn who donated it to An Óige. Children under the age of 16 qualify for a discount on the advertised price at check-in. We had an amazing experience that we'll never forget. Friendly atmosphere, thanks to Hans and George who shared with us tales, food, several cups of tea! Everything was so human, warm, like time had stopped years ago. 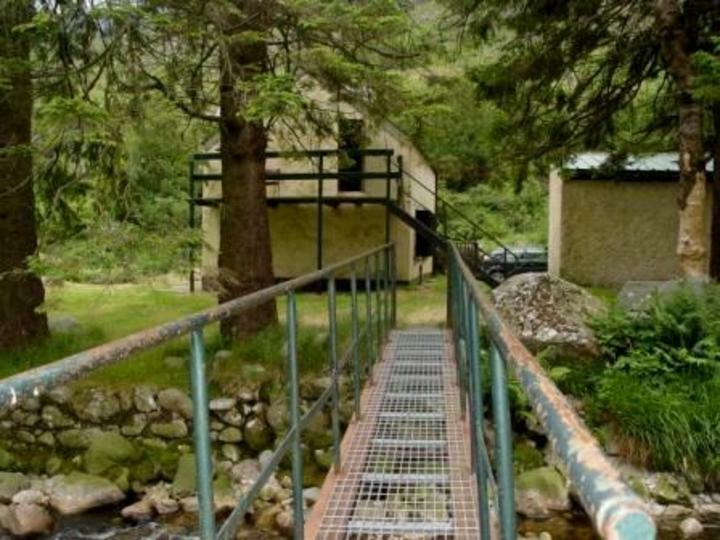 I only have one suggestion: guides, and even the national park information center don't have clear ideas of where the hostel is located, I think it'd be necessary to put more indications in Glenmalure, to help guests, especially those who come by walking, to reach the hostel.